Fire crews are investigating after a fire at a dairy farm in Guilford County. Part of Keck Dairy Farm caught on fire Wednesday afternoon around 2:00 p.m.
More than 10 different fire departments arrived to fight the flames. 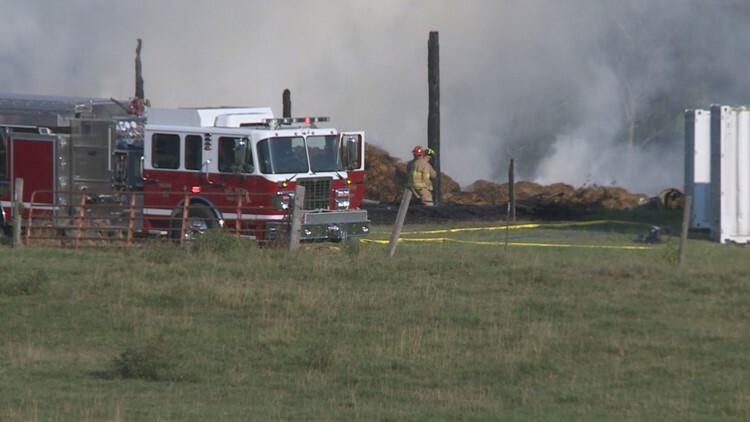 Heavy smoldering from the fire was seen around the farm located on Highway 62 in Julian. There’s no word on what started the fire at this time.